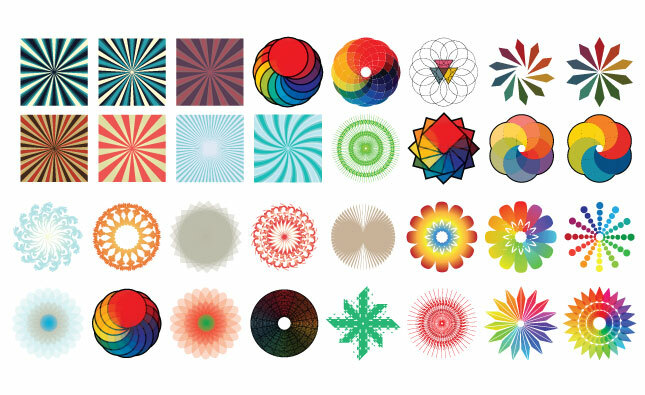 Buy the Set 17 Complete Vector Set (all 7 individual packs) for one low price. 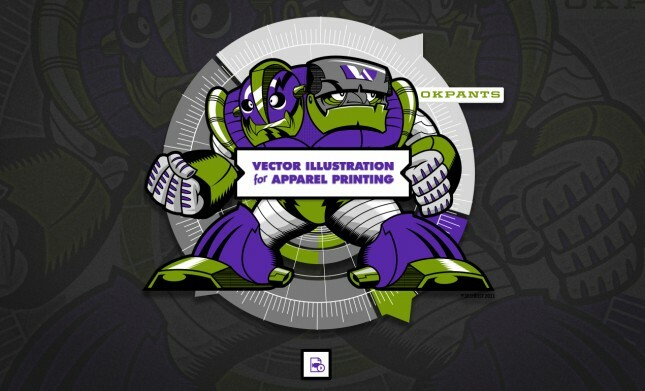 You get 193 high quality and detailed vector pieces. If you buy all at once, you save a ton! 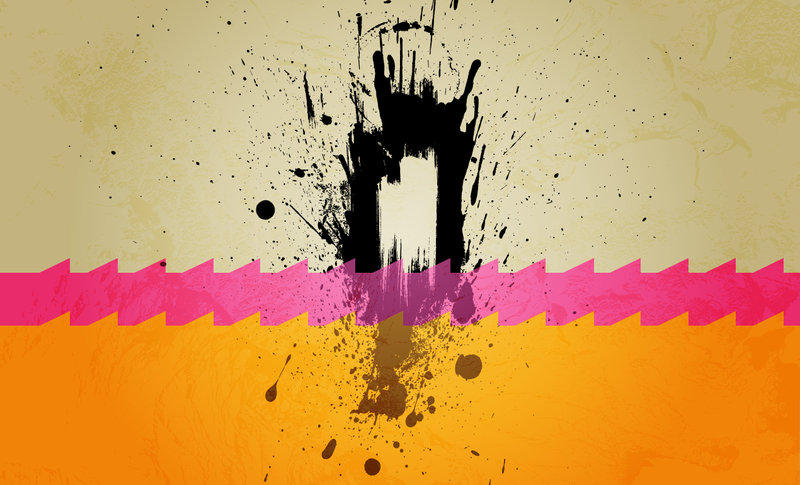 Included in the set are Sabotage, Ink Splatters, Heavy Grunge, Stains 2, Smudges, Paint Splatters 2, and Grunge Drips. 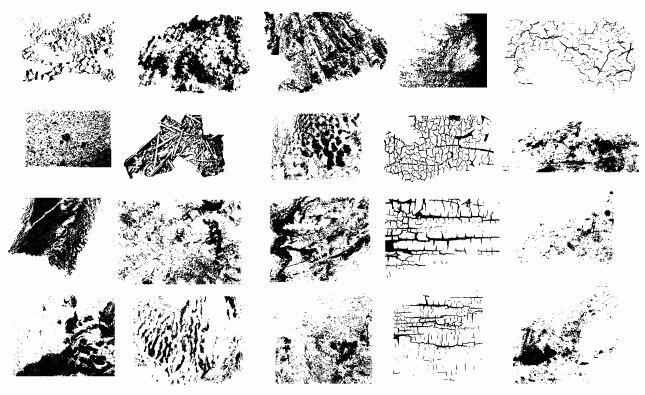 Grunge Drips Vector Pack – a great pack of angry vector drips & splats! 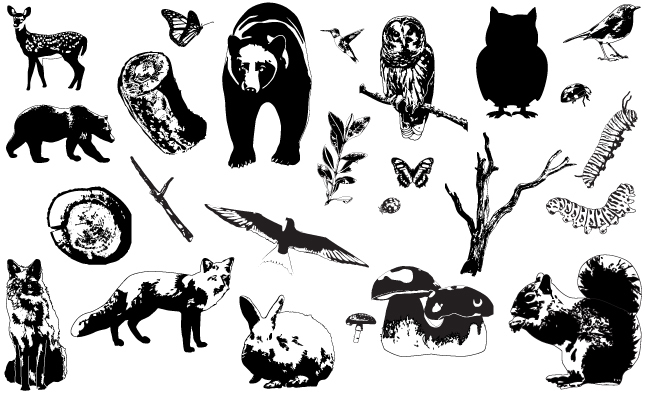 Heavy Grunge Vector Pack – Heavy Grunge will absolutely destroy any design you throw it’s way. For only the most aggressive, trashed, distressed & torn-up applications! 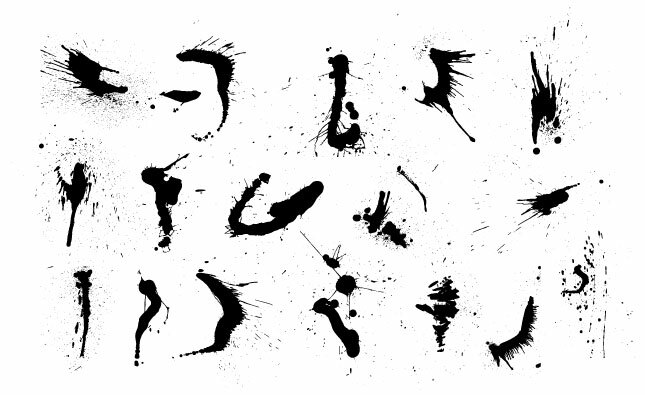 Ink Splatters Vector Pack – Ah, yes! 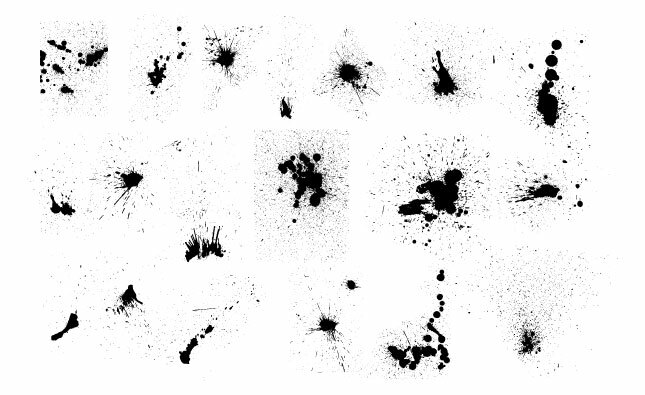 Nearly twenty belligerent ink splats with thousands of tiny specks! This pack is really perfect for adding a light haze of distressing over an entire layer. Enjoy! Sabotage Vector Pack – Combine the crowd appeal of illustrated wings and the functionality scrolls and you’ll get an idea what’s inside this pack! 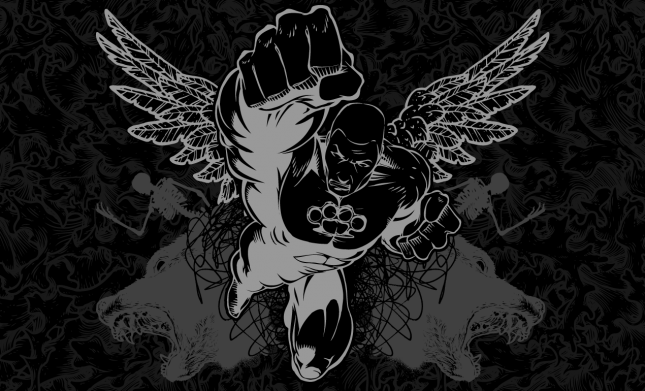 Specifically, you’ll see 10 varied combinations of wings and scrolls that would look great centered on an Affliction-style tshirt. 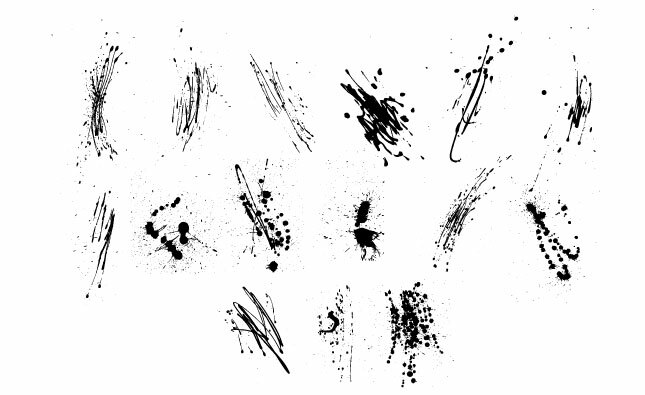 Paint Splatters Vector Pack 2 – Expressive Paint Splatters like these make it easy to give your vector design edgy Affliction-style treatment. 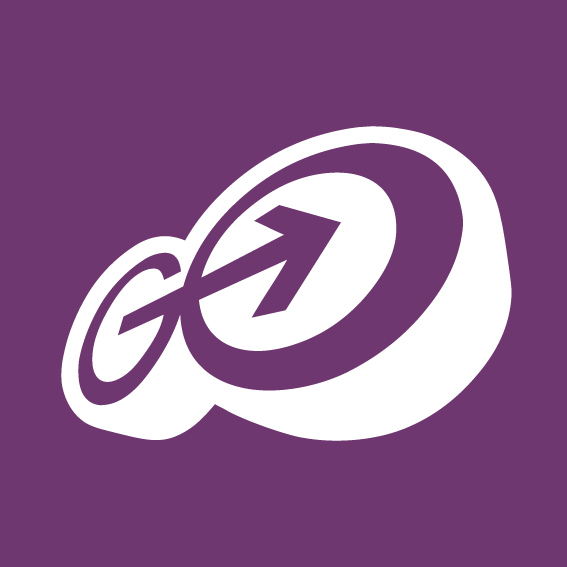 Download them and give it a try! 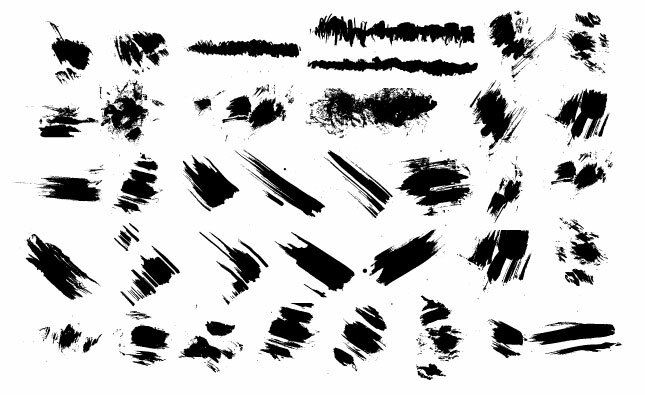 Smudges Vector Pack – These grunge smudges are great for adding some aggressive hand crafted personality to a layout. 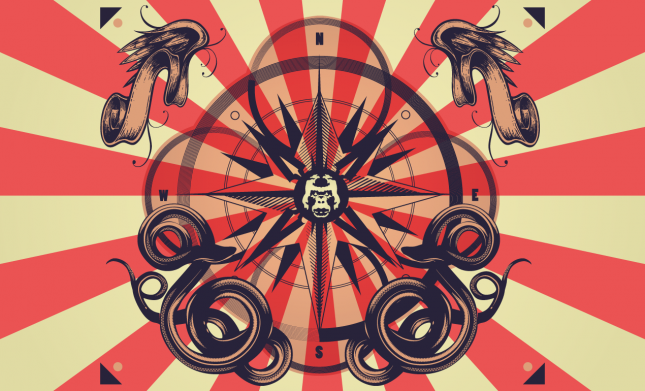 We recommend using Adobe Illustrator CS or higher. 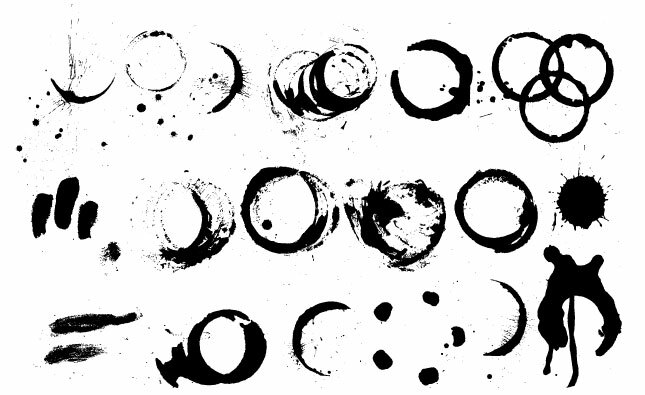 Stains Vector Pack 2 – An assortment of wet and dirty coffee stains in vector form. 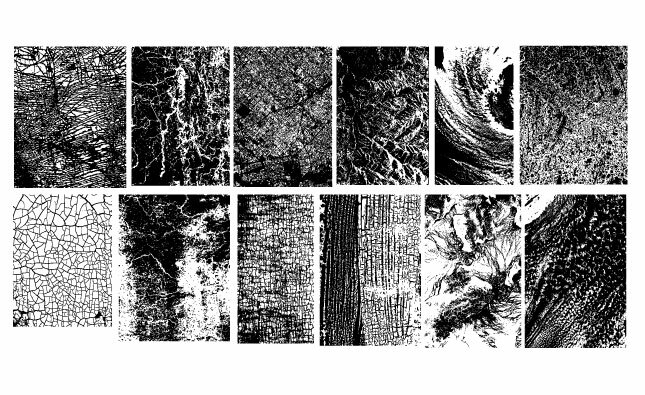 The variety of staining makes it versatile for posters, t-shirts, and abstract images.